Most bloggers are well aware of the importance of social media when it comes to promoting their content. And one of the most effective types of social media promotion when it comes to blogging is Facebooks Like system. Should you be wondering what all the fuss is about, here are the three key benefits of Facebook Likes when it comes to blogging. The more Likes you have, the better your blog is going to look in the eyes of first time visitors. When somebody Likes your blog, they are significantly more likely to return. This is because when a Facebook user Likes a blog, updates from that blog appear in that users news feed. When somebody Likes your content, you know that you are doing something right. 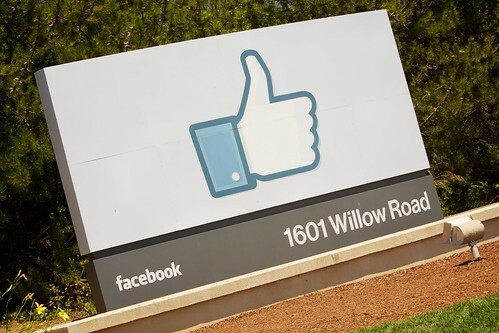 Facebook Likes are a highly effective means of gathering reader feedback. As these benefits illustrate, Facebook Likes are highly effective when it comes to boosting a blogs readership. Should you be wondering how you can maximize your blogs Likeability, here are ten tips for doing just that. Don’t make the surprisingly common mistake of assuming that you cannot ask your readers to Like your content. There is absolutely nothing desperate about it, you are simply requesting feedback and in doing so demonstrating that you care what your readers think. Don’t just throw the first Like icon you find onto your blog and expect to see positive results. Both the icon that you choose and where you choose to place it can have a major effect on just how many Likes your blog gets. You should focus on large, attention grabbing icons and they should always be placed above the fold. Once you’ve built up a respectable number of Likes, don’t be afraid to advertise that fact. There’s something about knowing that hundreds of other people Liked something that makes the average web user want to do the same. On the other hand, if you have very few Facebook fans, keep that fact to yourself until your popularity increases. One of the easiest ways to build up a healthy list of subscribers is to offer those that subscribe a free gift. The same principle very much applies to obtaining Likes. You don’t need to offer anything spectacular or valuable, even a ten page e book can significantly boost the number of Likes that your blog receives. Everyone likes free stuff, especially when all that’s required in return is a single click of their mouse. Another slightly devious means of increasing the number of Likes that your blog receives is to offer those who have liked your blog exclusive content. Provided you make this exclusive content sound rather appealing and you make sure that visitors to your blog are aware of it’s existence, many visitors will Like your blog solely catch a glimpse of it. Most bloggers are aware that the more visitors you can direct towards your Facebook account, the more Likes you are going to receive. Don’t make the mistake of simply directing traffic towards your timeline however. You should instead set up custom landing pages, designed exclusively to encourage people to Like your blog. A well designed landing page should send your conversion rates skyrocketing. Let your readers know just how much you want to amass Likes. An excellent means of doing so is setting up various milestones. For example, tell your readers that you are trying to reach five hundred Likes by the end of the month. Provided they like your content, they should be more than happy to help you reach your goal. Most bloggers include their blogs URL in practically every piece of correspondence they send out. While doing so is certainly beneficial, it’s also worth experimenting with replacing your blogs URL with your blogs Facebook page. Anyone that’s directed to your Facebook page is still likely to check out your blog but you might also get a Like in the process. If you’ve already amassed a healthy following on other social networks, don’t be afraid to ask those followers to Like your blog. Provided they have a Facebook account, which is statistically very likely at this stage, they should have little problem supporting your blog on Facebook too. You might be surprised to learn just how many Facebook Likes can be gained with a single Tweet provided you have enough followers. Finally, don’t forget that there’s no substitute for high quality content. These tips are only effective when combined with killer posts. If you want to amass Likes in serious quantities, you are going to have to write content that is worthy of them. Focus on offering your readers real value and you are sure to be rewarded with a Facebook presence to be proud of. Tom Koh is a published author and a successful blogger. He believes Facebook can be effectively used for getting targeted traffic for a blog or website. Follow the advice in this post and you are bound to get more traffic from No. 1 social network.